At last count there were 3000+ landscaping companies serving clients across the Island. For the uninformed consumer, the challenge of deciding who to hire is very real. Price is always a factor but shouldn’t by any means be the most important factor. Here’s 8 practical reasons to hire us. 1. Expertise! We have been giving lawn care seminars across the Island for 10 years and are now considered the go to company for lawn care. Experts recommend experts! 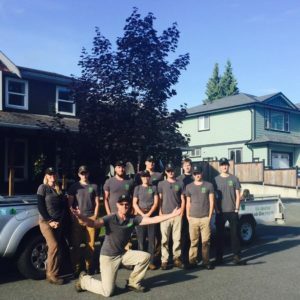 We are constantly being referred by nurseries, clients and even our competition as the “local lawn care experts.” We have worked hard to establish this reputation and thank everyone for their continued confidence in our company! 2. Online Payment Option! This convenience alone sets us apart from most if not all mowing companies. You can (and should) pay your bills online and in your pyjamas through our secure system. This is especially convenient for property owners who live out of Province. No matter where you are, you simply click “Pay Now” on your invoice and presto! We accept Visa, Mastercard, AMEX and Interac E-Transfers! 3. Professionals! We hire professionals and pay them accordingly! Promising a Living Wage, we pay our employees, on average, 25% higher than other landscaping companies and its how we’ve been able to find and keep the hard working, kind professionals our clients have come to love! In order to continue paying the men and women who service your property what they are worth, we have to ensure we are charging accordingly. 4. Insurance! Since our inception in 2009 we have carried full liability insurance and WCB protection. We are also licensed with the cities where we work! This costs us over 10K per year but we feel your peace of mind is worth the expense. Many companies are not insured which means if they get hurt on your property, they could sue you for damages. It sounds harsh but it has happened. WCB prevents us from doing that and that’s a good thing! Not only that, it protects us should we incur damage to your home, our machines or worse, our workers! 5. Machines! Not only do we use the best machines available on the market (Honda Commercial Mowers and Stihl Trimmers) we pay an in-house mechanic to maintain them! This includes sharpening the mowing/ trimming blades a few times a week, washing out the mowing decks and keeping up on the oil/lubing. This makes a huge difference to your lawns as the grass and garden is maintained consistently. 7. Green Approach We have never used a toxic chemical and we never will. Many companies claim to be green but also offer poison on the side. We’ve always felt that it’s easy to be green when you’re chemical free which is why we attack weeds and moss with our smarts and grit instead. Your pets, plants and peace of mind will thank us! We have won several awards for our green approach including a Black Tie For Best Green Business and another for Best Green Business on Vancouver Island. We were also included in BC’s Top 10 Green Businesses! We tend to be more expensive than our competitors. Here’s why…. A. We pay our employees a living wage and go up from there. We pay our supervisors the same hourly wage as some companies charge out, which begs the question…. B. Our generous wages allow us to hire rock star employees who do the job right the first time. Most of our work is redoing the work of the less expensive options which is why we think what we charge is a bargain! 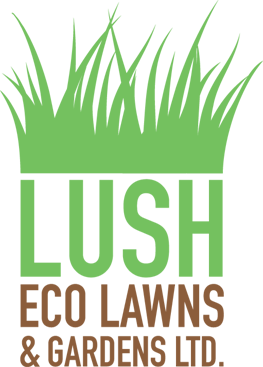 C. We only use the very best soils, fertilizers and customer service practices. Why is one restaurant better than the other? Quality of ingredients and customer service. 9. 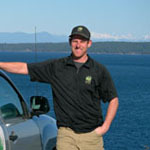 Award Winning Lush has won several business awards and was recently named one of the 3 best lawn care companies in Nanaimo while its owner, John Close, was named a Top 20 Under 40 for Vancouver Island.